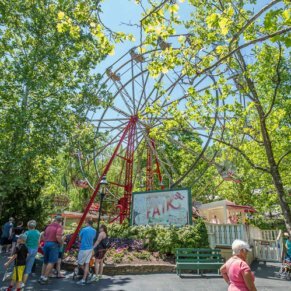 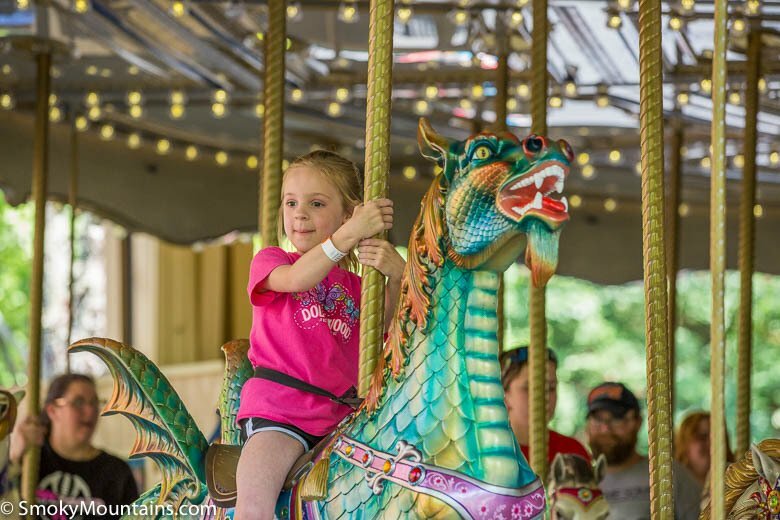 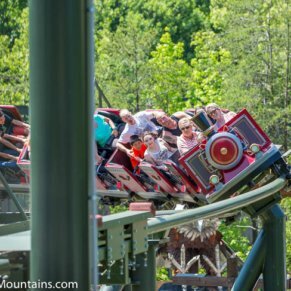 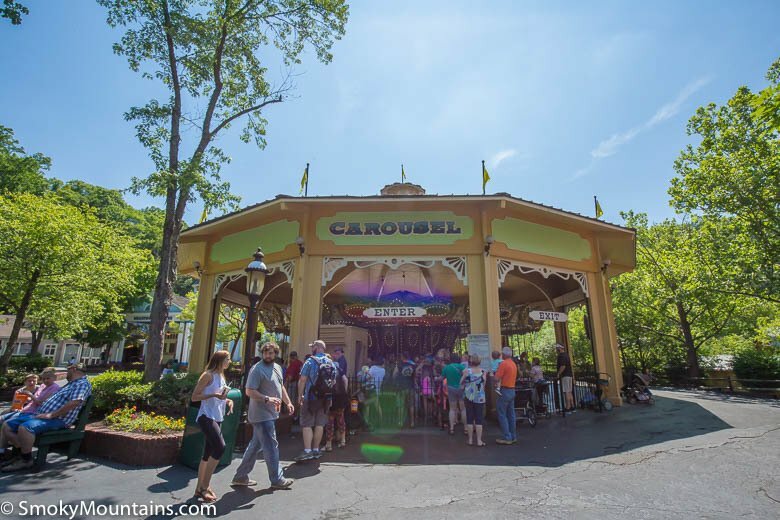 Dollywood's Village Carousel is a classic carousel ride with 60 beautiful animals and calliope music. 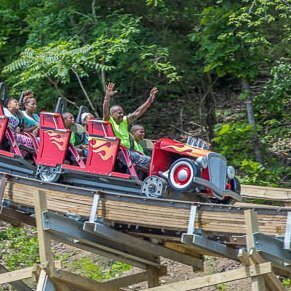 With a variety of moving and stationary spots to sit, there is a spot for everyone in your group on this fun ride! 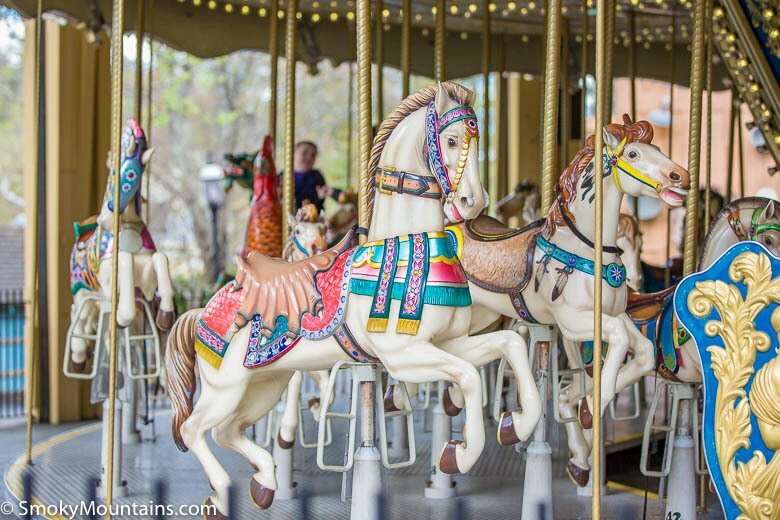 The Village Carousel will have you spinning back in time with its classic style, beautifully painted horses, bulb lights, and mirrors. 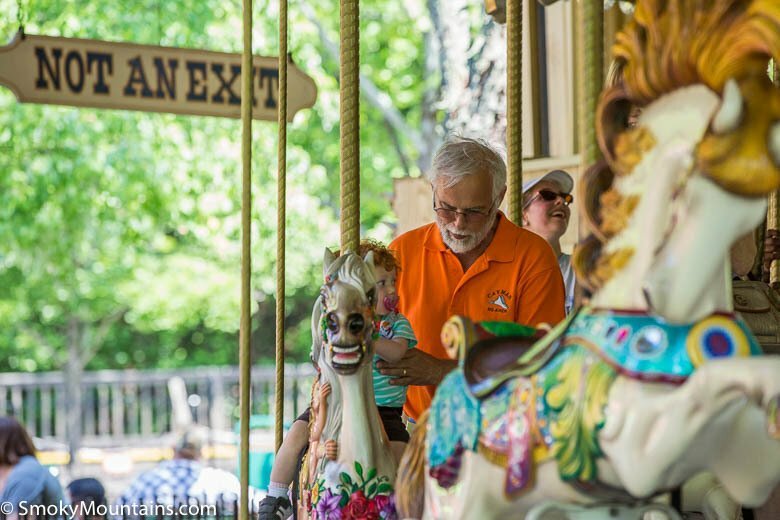 Pick your favorite horse, and hop on for a fun ride that the whole family can enjoy together! 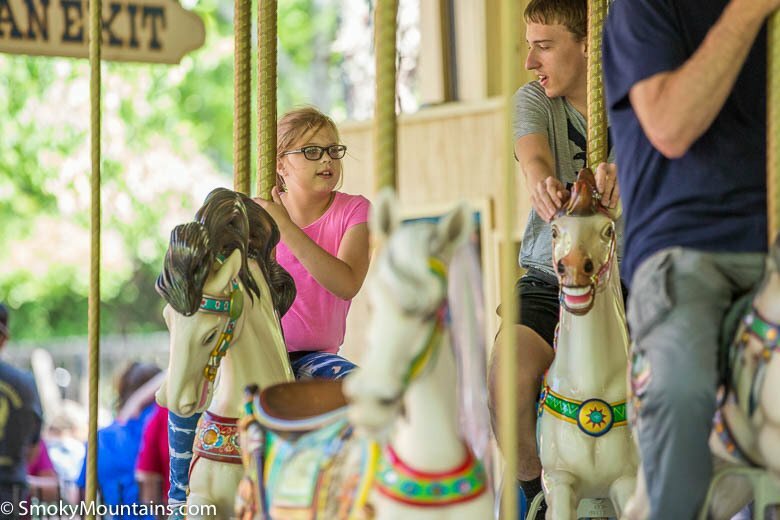 Bring out your equestrian side as you go up and down on these horses. 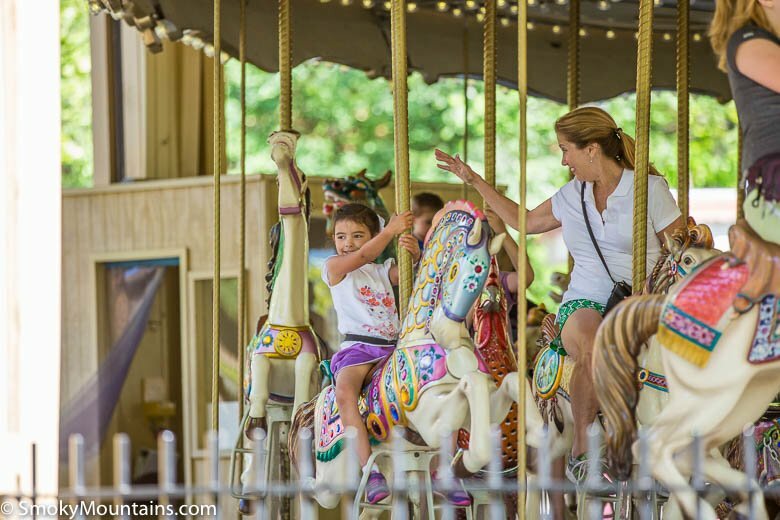 You’ll also be spinning around in circles while your noble steed makes its way up and down. 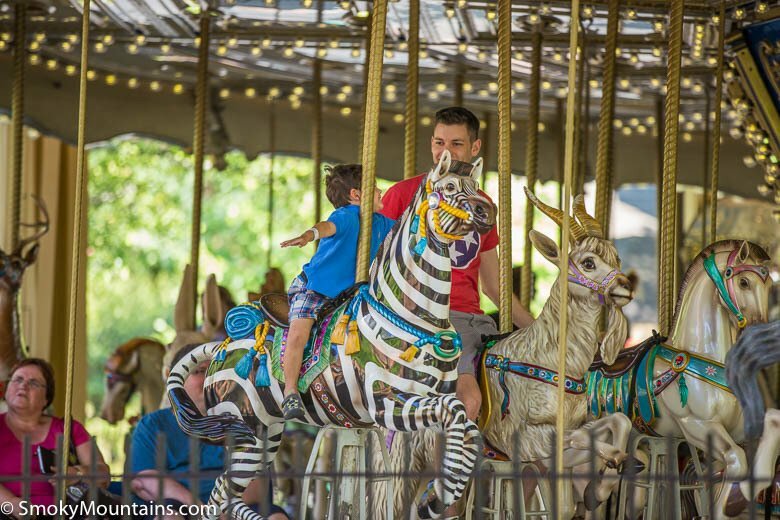 These horses boast bright colors on their faces and saddles adding to the fun atmosphere already created by the carousel itself. 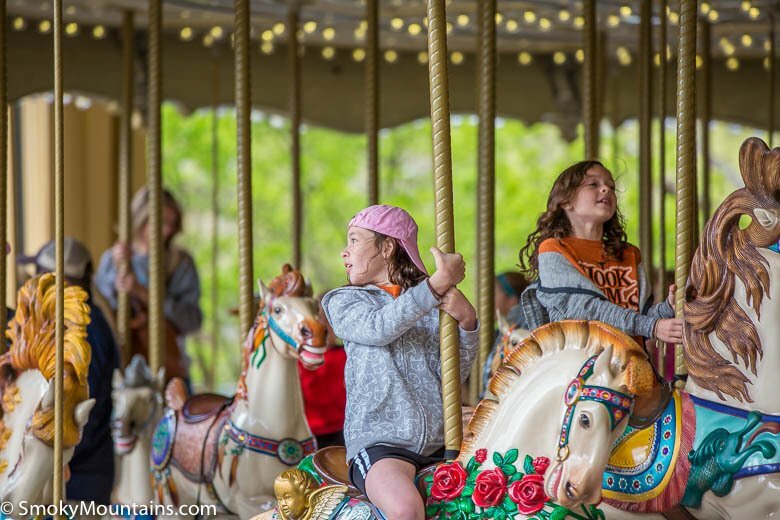 If you’d rather not brave one of the horses, take a seat in one of the stationary carriages that’ll allow you to enjoy the spinning motion of the carousel without moving up and down. 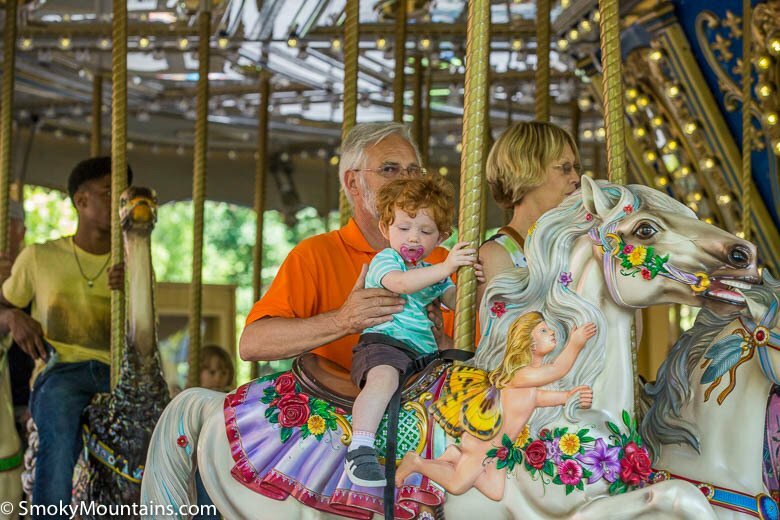 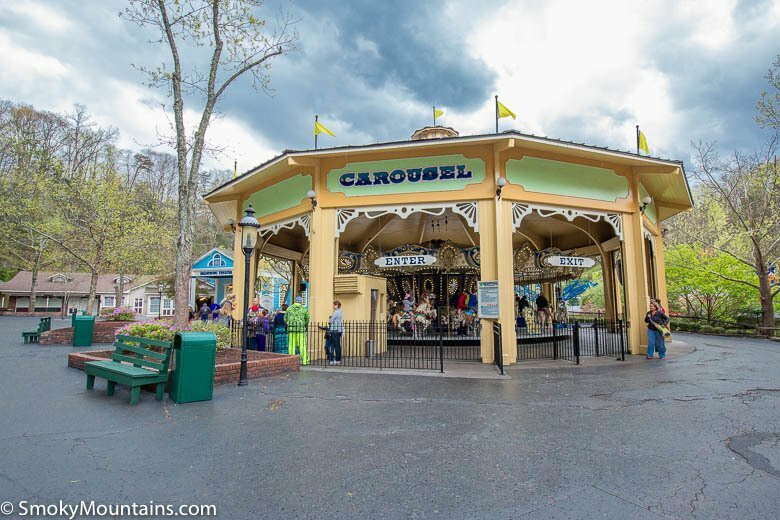 The carousel has been a hit for decades and continues to be for every generation. 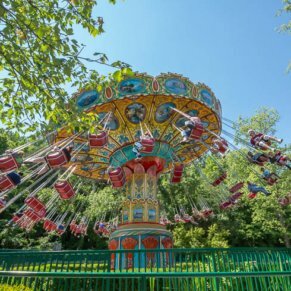 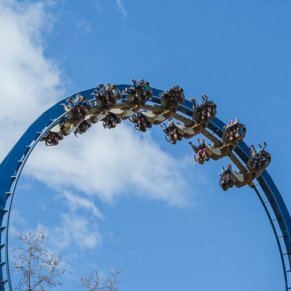 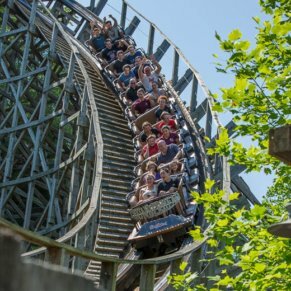 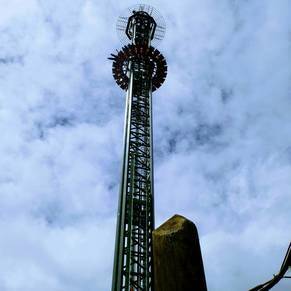 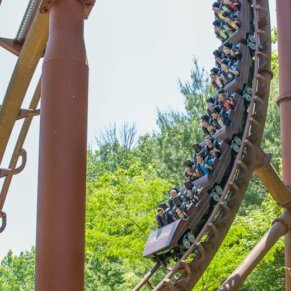 Adults and children alike will be transported to an ageless period only provided by this ride that has stood the test of time.